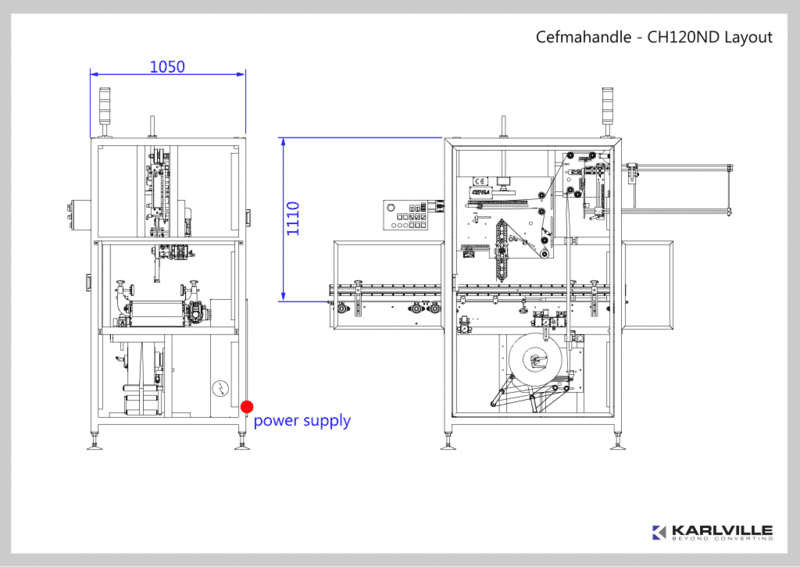 CEFMA HANDLE 120 ND automatic machine for the application of adhesive carry handles. 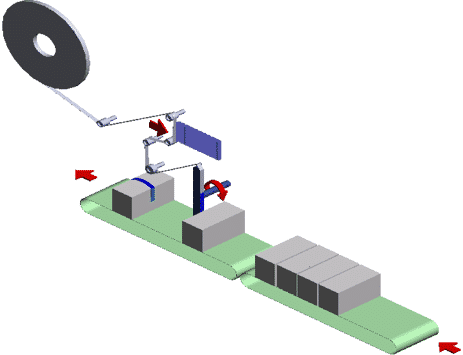 Compact, single-lane machine adapted to products of most sizes. Carry handle applied to the top of products.